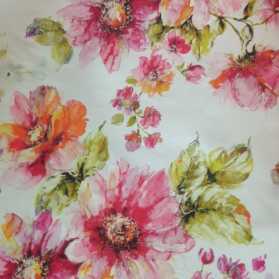 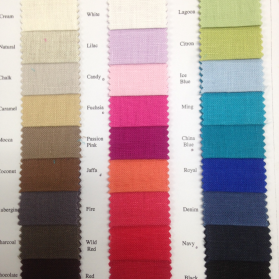 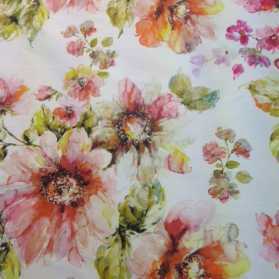 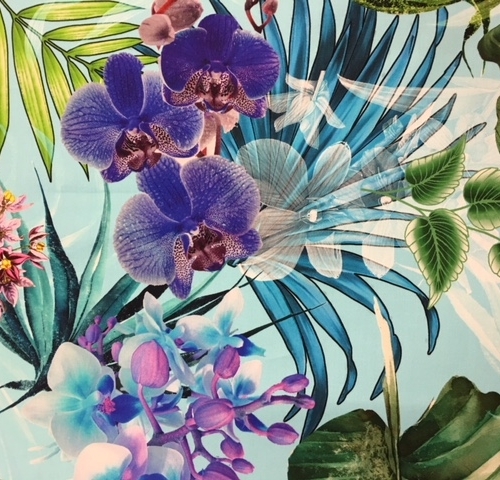 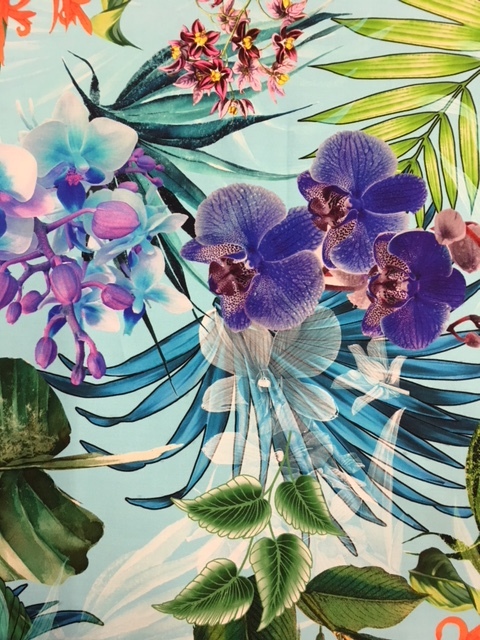 A great weight, 97% cotton 3% spandex printed fabric, ideal for dresses, jackets, skirts and slacks. 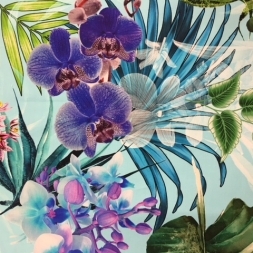 It has a wonderful aqua through to blue background with the most amazing range of tropical colours to match back with almost any colour. 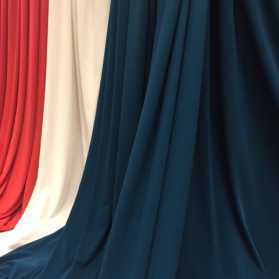 It is the best weight with just enough stretch for a comfort fit.